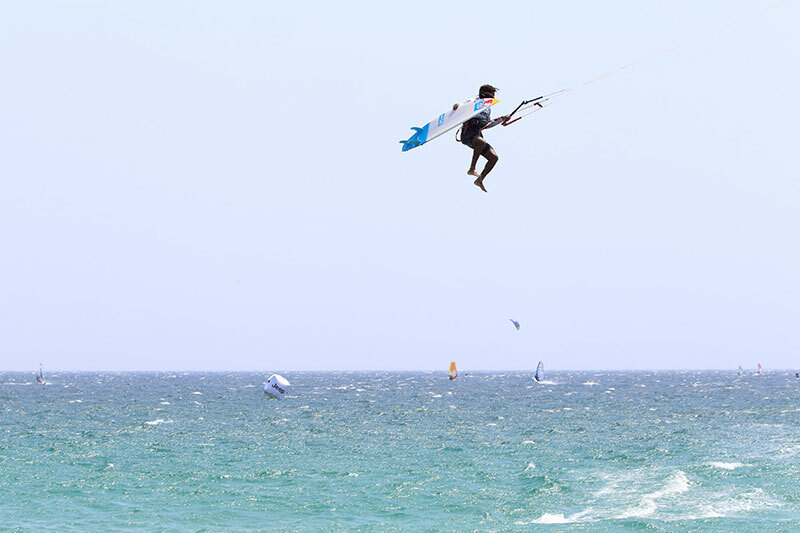 The Tarifa Strapless Kitesurfing Pro Final. If you were a gambler, you’d likely have put your money on these two riders being likely to make the final. 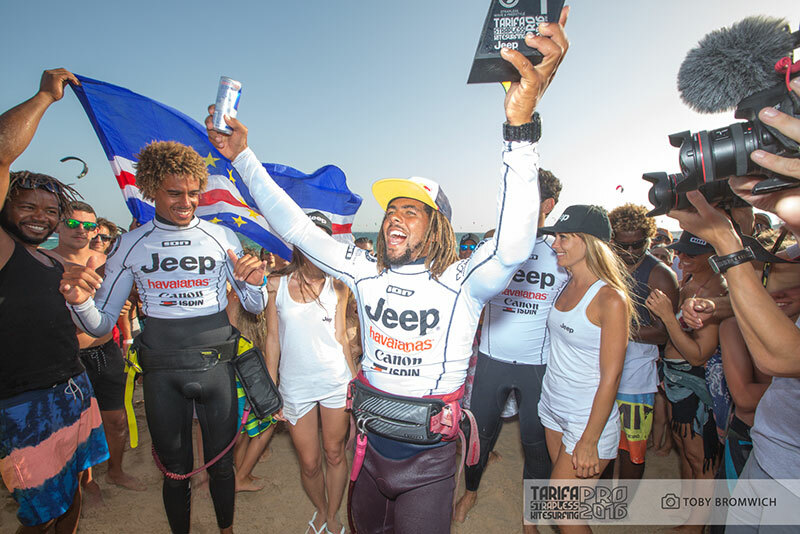 Although they would both point to Mitu Monteiro being the established legend in the strapless freestyle scene and mentor to them both over their years in Cape Verde, the healthy rivalry that these two good friends have developed, pushing each other harder and harder, is undeniable. 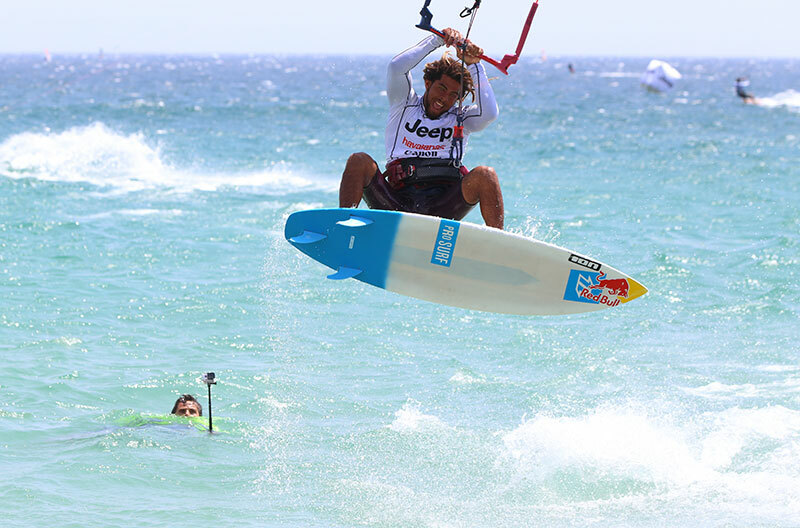 Matchu was the first rider ever to land a triple front roll last year, while Airton continues to defy logic with his ability to master wakestyle-like tricks with immense power. As in previous heats, Airton seemed too anxious in the opening minutes and was riding with a frenzy that led to crash after crash. Even tripping over a piece of chop on his way out on one run, visibly frustrated he smashed the water with his fist. Matchu meanwhile was lacing together a succession of aerials and rotations, all the while looking across to monitor Airton, taking advantage of his opportunity and building up a good tally of scores. Matchu’s style is more aerial based. He mentioned before the heat that he’d continue with his style, hoping that the judges would reward his flow, over Airton’s power. Among Matchu’s best tricks were a double front roll and a double back roll with a grab. 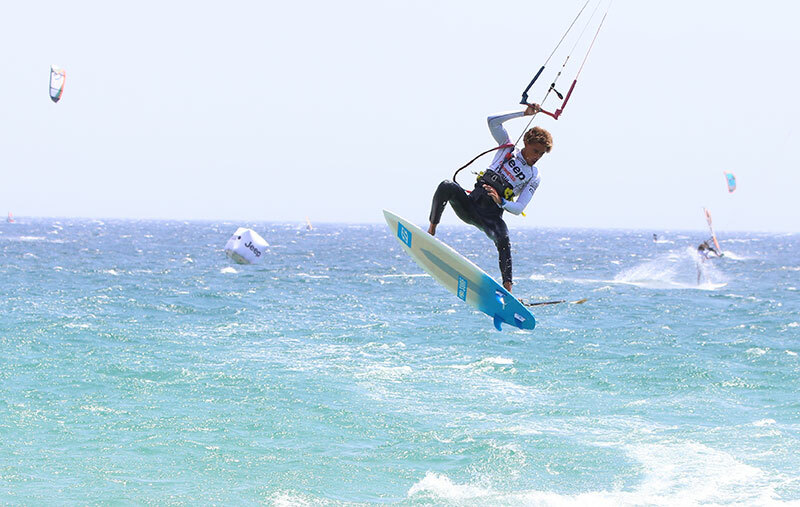 Both riders landed big kite loop crazy horse moves – undoubtedly the crowd’s favourite. In the final count up they’d both landed very similar tricks, apart from the double front roll of Matchu, and the powered front and backside passes of Airton, who sealed victory with his immensely powered front roll shuvit. Had the final been run in super strong Levante conditions – would Airton have been so assured with his passes? We will perhaps get to find out later in the season as Sotavento in particular is notorious for its heavy winds. The difference in the end was down to just 0.5 of a point on some judges’ score sheets. After crashing three front roll shuvit attempts hard, Airton showed what a great competitor he is eventually stomping one of the best examples of that trick in the whole contest. Hard, fast and smooth. 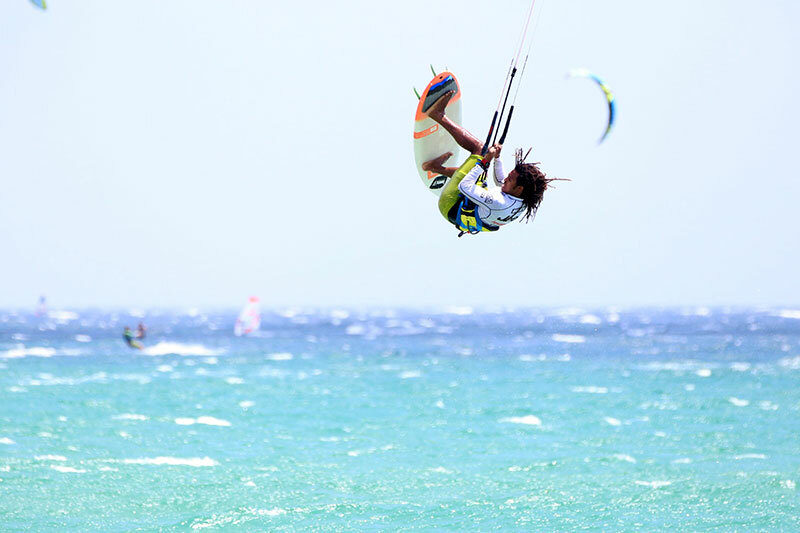 He was crashing early on because he was so committed to his tricks, but then as we frequently saw throughout this competition, he started landing and landing and landing… turning the screw on Matchu. 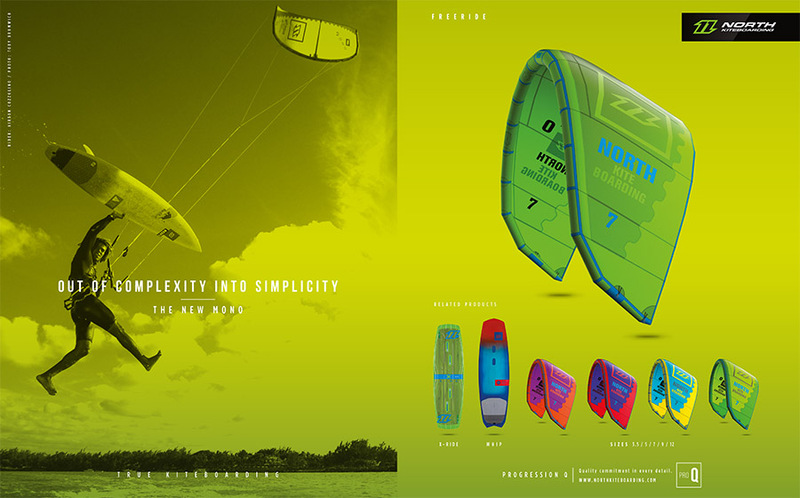 Click to learn more about the North Kiteboarding tools powering the final.